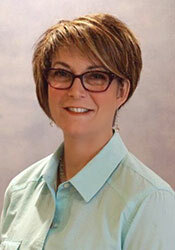 Robin Reese has played an integral role in the development of our optical dispensary, experiencing the metamorphosis of the optical industry here for almost twenty-nine years. With all her expertise and experience, it’s no wonder that Robin enjoys a loyal following of happy and satisfied patients! She regularly attends Vision Expo in New York City, educating herself on both the latest lens products and fashion trends in frame design. She takes classes to keep abreast of the ever-changing spectacle lens industry, learning about new anti-reflective coatings, photo chromatic lenses and technological innovations in progressive multifocal design. In March 2017, Robin completed an Essilor development program in optical practice management. 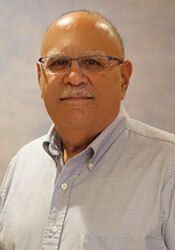 Carl Boscia has found his niche in our optical laboratory. Coming from a technical background, he has developed a talent for eyeglass repairs, as well as expert on-site edging of lenses. Carl oversees the computerized Essilor “Mr. Orange” Spectacle Lens Edger, allowing us in some cases to provide almost immediate optical service to our patients. He has also mastered sophisticated lens mountings to accompany the latest in eyewear design. Along with Robin, Michelle, and Nancy, Carl provides efficient and friendly optical service to our patients. A newer face in our optical is Nancy Gavlick. Nancy has a keen interest in opticianry and with her smile, laugh, and upbeat personality, she makes our patients feel at ease and enjoy the process of finding that “perfect pair!” She is able to assess the patient’s personal preferences and individual style, facial shape, and prescription needs to help the patient make the best selection possible in their eyewear. Nancy also keeps up-to-date with the newest technologies in lens designs and materials to offer patients the best choices for optimal vision. Our office is staffed by very professional, courteous people. You will be greeted at the front desk by Tracy Ruth, our multi-tasking receptionist. 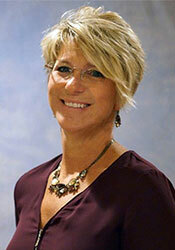 Tracy has been with our office for over ten years and knows many of our patients on a first name basis. Tracy schedules and confirms your appointments as well as verifies insurance coverages. She has a high energy level which allows her to accomplish all these tasks while still offering a smile for all our patients. Anne Wentzell has been with our office for over ten years. She is our contact lens technician. Anne enjoys helping our new contact lens wearers with insertion/removal techniques and demonstrates patience during this instruction time, always with a smile. She is well-versed in advising our patients on contact lens care products, as well as proper wearing schedules and modalities. Anne is responsible for placing contact lens orders and will answer any questions regarding our on-line ordering process. In addition, Anne has also been trained to assist with our specialty testing, including visual fields, ophthalmic photography, and diopsys. 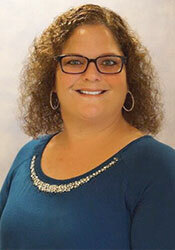 Deana Halek has been with our office for the past four years. 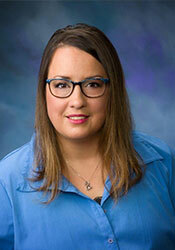 She is trained in medical billing and is available to help answer your questions regarding insurance coverages. Deana is familiar with both medical and vision insurance plans. 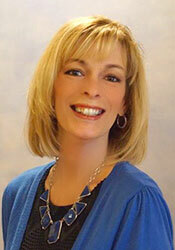 She is our “go-to” expert for insurance and billing questions! 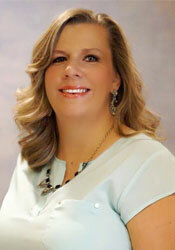 Michelle (Shelly) Bobyak has been with Dr. Boscia for over twenty-eight years. She exemplifies Dr. Boscia’s commitment to professionalism and service to our patients. Shelly knows most of our patients, having been our full time receptionist for years. Now, as a busy mother of two sons, she enjoys the title of “special projects coordinator.” This new web site design is one result of her diligent efforts.